Originally from the central Illinois area, Lauren is an accomplished dancer, choreographer and instructor. She began her dancing career at the age of 7 studying ballet, tap, jazz, modern and contemporary. Lauren has had the pleasure of training under multiple legendary dance masters of our era including Jason Samuels Smith, Dianne Walker, Lane Alexander, Jason Janas, Chloe Arnold, Dormeshia Sumbery-Edwards, Sam Weber, Professor Robert L. Reed, Bril Barrett and Tokyo Kevin Inouye. Furthermore, Lauren has trained extensively under Julie Cartier, Nico Rubio and Martin “Tre” Dumas; three of Chicago’s most sought-after tap instructors/choreographers. As a former competitive dancer, Lauren was continually awarded many regional and national titles as well as scholarships. One of which landed her dancing at New World Stages in New York City in Mike Minery’s off Broadway Tap Production of Slide. She was also granted a Leo Harris Tap Scholarship from the Chicago Human Rhythm Project: the oldest and most comprehensive annual tap festival in the world. 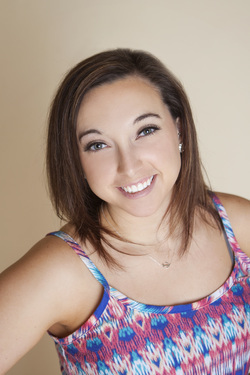 Lauren started teaching and choreographing at age 15 and from the beginning her students were acknowledged regionally and nationally throughout the Midwest. She has received numerous choreography awards and has been recognized for having the highest scoring group piece of the entire event on several occasions. Lauren has performed in 2 NCAA College Bowl halftime shows and most recently was given the opportunity to perform during 2 of the All That Tap concerts at the conclusion of the St. Louis Tap Festival. Her students and choreography have also been showcased during The Big Apple Tap Festival in New York City and the Motor City Tap Fest in Detroit, Michigan. In addition, Lauren was a tap instructor with Edge National Talent Competition and is currently a member of the Detroit Tap Repertory. Lauren has also had the opportunity performing in Phoenix, Arizona with Tap 24.7 during their annual show: TAPspeak, produced by Suzy Guarino-Hall. Lauren is a graduate of Western Illinois University with a Bachelor of Arts in Broadcasting with a minor in Dance. She is co-owner of Project Dance Company of Macomb, Illinois. Lauren’s diverse and energetic style of teaching continues to inspire her students to embrace all forms of dance and appreciate its rich history and cultures. A native of Macomb IL, Kimmie is a co-owner of Project Dance Company. She has been dancing since she was 6 years old and enjoys teaching jazz, lyrical, contemporary, musical theatre, hip-hop and most recently, Zumba. Throughout Kimmie’s 7 years as a dance teacher/choreographer, she has been the recipient of numerous choreography awards. Her routines have received top honors at several competitions including a musical theatre piece which was awarded the “Presidential Cup” after being selected to compete a second time at a Live Finals. Kimmie has been given opportunities to travel to Las Vegas, NV and Branson, MO for national competitions. In 2010, she accompanied her dance team to New Orleans, LA where she performed in the halftime show of the Sugar Bowl. In the course of Kimmie’s travels and studies of dance, she has trained under many nationally known choreographers. Her approach to fitness is established amid her background in dance and also gymnastics. This combined with her experience in various styles of exercise is what led her to become a Certified Zumba Instructor. Kimmie is a graduate of Western Illinois University, with a B.S. in Kinesiology with an emphasis in Exercise Science. She was a member of the University Dance Theater for 3 years. She enjoys teaching children of all ages what she was taught when she was younger, to love and mature in dance. Jessi Brandt is originally from Macomb, a graduate of Macomb High School. She is currently pursuing her bachelor degree in Agriculture Business with a dance minor at Western Illinois University. She started dancing at the age of eight, enjoying many styles. Through her competitive career she has won many placements, titles, and scholarships. Her senior year she maintained a undefeated season through five different regional competitions. Dance has also taken Jessi many places including: the 2010 Sugar Bowl to perform at halftime, New York City to take classes from broadway professionals and the famous Rockettes, Branson and Wisconsin Dells for National Competitions. Jessi has been teaching and choreographing for three years. In that short time her routines have won many top placements, including a Judges Choice Award from Primetime Regional Competition and Highest Scoring Small Group at Showbiz Regional Competition. Jessi enjoys teaching the next generations of dancers a sport that she fell in love with at a young age.